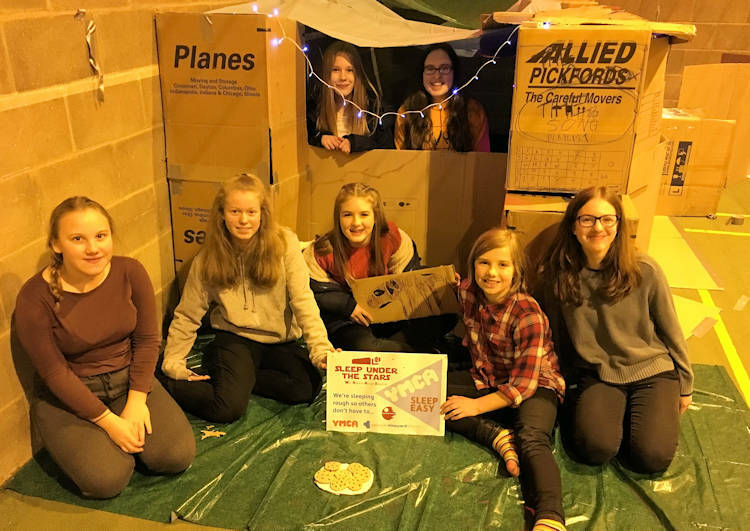 Spending the night sleeping in cardboard boxes to highlight the issue of youth homelessness is the latest act of kindness in Gateway Vineyard’s 1000 Hours campaign, which is nearing its target. Some 13 young people and four youth leaders, led by Graeme Stewart, spent Friday night sleeping in cardboard houses inside the cold and draughty Trowse sports hall near Norwich as part of the wider YMCA Norfolk Sleep Easy event. Thanks to the youth leaders who gave up their Friday night to make the event possible as well as the support of parents – who did a lot of tidying up after the event. The campaign total is a magnificent 962 hours – within sight of the 1000 objective.